The following blog post was written by orthopaedic surgeon Mr Ilan Freedman. A question which patients commonly ask is “When can I fly after having a Hip or Knee Replacement?”. Traditional reservations regarding flying after hip replacement surgery are due to the potential risk associated with prolonged immobilisation (i.e. not being able to move around easily) in a tight space. Immobilisation after major surgery may increase the risk of developing a blood clot (DVT) in the deep leg veins. If a clot breaks off a deep vein and travels to the lungs this is known as a pulmonary embolus (or PE) and can be dangerous. The risk of DVT is not specific to being on an airplane itself and would also apply to immobility during a lengthy car or bus trip, or even prolonged immobility in bed at home. Discuss your intention to travel with your surgeon. Most likely you will be prescribed a blood thinner medication to reduce the risk of you developing a clot. Obtain additional legroom for your journey. If you have the means to do so, we would encourage that you fly business, “premium economy” or get an exit row seat that allows you to move around rather than being couped up in a standard economy seat. Our practice can provide you with a letter to the airline requesting a seat upgrade (airline discretion as to whether they oblige with this). If you do travel in a tight seat be extra vigilant to move about regularly. An aisle row seat would be preferable to allow you to get up out of your seat regularly. Move regularly around the cabin. Get out of your seat regularly and go for a walk up up and down the aisle. 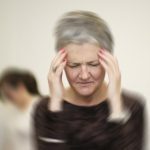 Ensure that you have enough pain relief to allow you to do so. Patients are usually quite comfortable after minimally invasive surgery (eg Direct Anterior Approach for total hip replacement) and are usually able to move around more easily. When in your seat perform calf exercises regularly. Drink plenty of water to facilitate good hydration and circulation. The environment and air-conditioning inside an aircraft can worsen dehydration. Similarly, avoid diuretics (liquids that make you urinate) such as alcohol and coffee. Limit your travel to short flights. If you need to travel further favour itineraries which have additional lay overs so that you can get off the plane to walk around and stretch your legs. There is no specific period during which you cannot fly, but we suggest a common sense approach so that you do not incur unnecessary risk – both in terms of the risk of getting a blood clot but also with regard to being far away from your treating hospital if you incurred any other unrelated early surgical complication (such as a wound problem). Postpone non-urgent travel until you are walking well with no crutches and are able to get up comfortably to move regularly around the cabin. Travel with comprehensive travel insurance and check that you are compliant with any conditions/restrictions imposed by your insurer and the airline. For the above reasons we suggest that it would be sensible to avoid non urgent travel for 2 weeks after surgery. (We commonly schedule a wound check appointment 10-14 days after surgery). Beyond that, travel capacity will vary depending on a particular patient’s circumstances and recovery but anecdotally, we have many patients who travel comfortably short distances (< 3-4 hours) fairly soon after surgery. For longer journeys (approx > 4 hours), a conservative approach would be to avoid non-essential travel for 4 weeks. Q: Will I set off the metal detector at the airport? A: In most cases NOT, but possibly! The implants used in our practice are of the highest quality and the articular bearing is made from European ceramic and NOT metal (as used by many other surgeons). However, there is still metal (titanium or stainless steel) in the stem of the implant that is inserted into the bone. 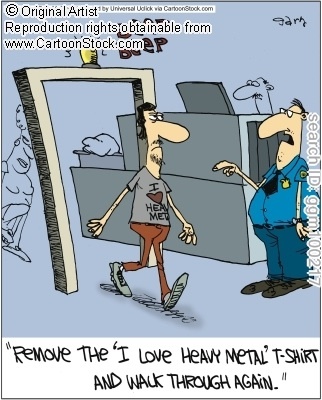 Metal detectors at airports are of course designed to detect concealed weapons and so, depending on the sensitivity of the detector used, your implant may potentially set off the detector (if a very sensitive scanner used at that airport). If this happens the security officer may rescan your hip region with a hand held scanner or may ask (hopefully politely!) to pat down your pocket area to verify that you are not carrying a weapon. We realise that this is an inconvenience but this is a reality of travel in the 21st century. Patients frequently ask if we can provide a letter stating that you have had a hip replacement and we are more than happy to do so, but the airport security may well disregard this (if it was so easy to avoid airport screening a “bad guy” would just get a doctor’s letter). We also suggest that you do travel with a copy of your X-rays as further evidence that you have had surgery. Security officers nowadays are well trained to perform quick, courteous and culturally sensitive discreet screening. In all likelihood your implant will NOT set off the metal detector but if it does, thank you in advance for your understanding if they do ask to perform additional security screening. You can be assured that the scanners used in airport screening do not pose any risk to the fixation or performance of your prosthesis. Bon voyage! A holiday (and break from work) is an excellent way to assist your recovery after surgery. Just take things slow and easy and please take lots of photos. We love seeing our post op patients reclaiming their quality of life after joint replacement surgery.